So you’ve booked your Disney cruise! Woohoo! After the high of booking starts to wear off and before the low of the credit card bill arrival, what’s next? Well here are ten things! 1. Find Your Documentation – Do not wait until the last minute to find your passport or birth certificates. Don’t do it. Now is the time to go locate whatever you need to travel. Now, when you still have time to get new copies of the one you were so sure you had is missing or expired. Lay eyes on it. Check the expiration date. Don’t assume and get into a bind when it’s time to sail! 2. Join Your Cruise Group – If you are on Facebook, I highly recommend finding the cruise group for your cruise and joining. Search Facebook for your ship name and cruise date and you’ll usually find it. These groups are full of great information. Many groups set up meets onboard, private mixology and tasting groups, fish extender exchanges and more. Many years ago, we were able to tour the Walt Disney Suite on the Disney Magic when a member of our group invited everyone for a tour. Sometimes you’ll find a family who wants to book a cabana but doesn’t want to pay full price for it and you can share one for the day! You’ll also often find people joining together for private tours and renting cars together. Even if you’re not into socializing with people you met on the internet (valid), there is still a lot of good information shared. Recommendations for port adventures, updates on what’s booked before your booking window opens, dining rotations, and more! Join! What have you got to lose? 3. Research Ports – Now is the time to start looking at what you may want to do in ports! Do you want to book something through Disney? Many port adventures will be available up until the day of sailing, but there are some that will sell out! Do you want to book on your own? Some of these will definitely sell out! Maybe you want to just stay onboard and enjoy a quieter ship and save some money! Start planning! That’s the fun stuff! 4. Download the Disney Cruise Line App – There’s no time like the present! Although there’s not much the app will do before you actually board, but it does have a nice vacation countdown to get excited! Plus, you don’t want to wait until you get onboard to download the app. There’s so much happening that first day you may forget! And then you’ll likely be out of cell service range. So do it now! Once you’re onboard, the app is incredibly useful. There’s a great messaging feature so you can keep up with your party onboard. I can’t even tell you how convenient it is. Soooo much better than the old days of walkie talkies or dry erase boards on your door to find each other! There are also deck plans, daily activities, movie schedules and even menus for the cruise! It’s really, really useful! 5. Book a Hotel for the Night Before – As I’ve said time and time before, do NOT fly in the day of the cruise. Don’t do it. Don’t. So now that we’ve got that settled, you need to find somewhere to stay the night before! If you are within 11 months of travel, it’s time. Hotels in ports do fill up! And if you are staying at a hotel with a shuttle, some of them let you book your shuttle time as soon as you book. If you want an early shuttle, it’s even more important. Book it now! Booking a rate you can change or cancel is never a bad idea. 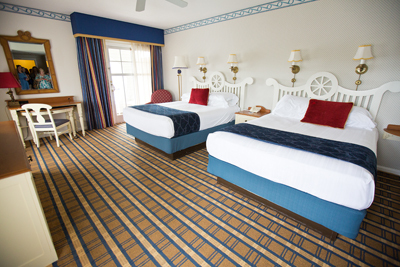 If you’re sailing out of Port Canaveral, here’s a blog post with some ideas for a pre-night stay! 6. Book Transfers – Once you know where you are staying, it’s time to figure out how you are getting to the port! In Port Canaveral, Disney offers transfers (for a price) to and from both the airport and Walt Disney World. 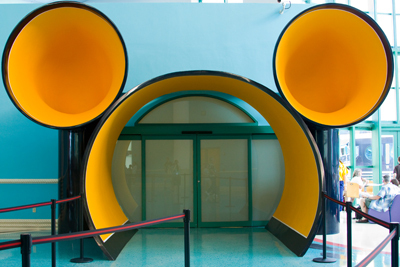 At other ports, they offer transfers to and from the airport, or from a few select hotels you can book through Disney. If you are booking a Park and Cruise package at a resort, you’ll want to call and find out when you can pick your shuttle time. If you’re renting a car, now is the time to start watching car rental prices! Book a rate that you can cancel, and check periodically for a better rate. 7. Get Travel Insurance – I’ve said this before as well – Don’t go on a cruise without travel insurance! It’s too big of a risk! There are too many stories of very healthy guests coming down with an unexpected illness or accident that causes hospitalization of some length. These can end up costing thousands of thousands of dollars. Insurance on a cruise is important! If your flight is delayed, that ship will literally sail without you! You’re not starting your vacation late, you may not be starting it at all! So get the insurance! And, after you pay your cruise deposit, is a good time to do so! If you are worried about a pre-existing condition, it’s not just a good time, it’s the only time. Many insurance companies will only insure pre-existing conditions if insurance is purchased within 15 days of paying your deposit. If you are not worried about pre-existing conditions you’ve got some time. Disney’s insurance can be added and removed up until final payment. There are lots of good insurance options out there, find one that’s right for you! 8. Plan Your Escape – No, not your escape from the cruise, your escape from reality! You should unplug as much as you can, but I know that’s not always reality, and not always fun! So check out international phone plans for where you will be traveling, look into renting a mobile Wi-Fi device, whatever you need to do to relax and getaway! 9. Book Your Flight – If you are flying and within 11 months of your cruise, it’s time to start watching airfare! First, get an idea of what prices are right now. Check a site that consolidates air, like Expedia or Travelocity. Then check some airlines that they do not track (if they are options from your city) like Southwest and Frontier. If they’re crazy low, buy them! Otherwise, start watching. Sign up for an airfare watch alert from your favorite website. Watch for Southwest to be released and then watch for their sales. I can tell you from experience that once Southwest releases their air, and again when they have a sale, it will often drive down the prices of other airlines. Is there a magic time or day to buy air? Not really. There are lots of websites that will tell you that Tuesdays are best, and 6-8 weeks before a domestic flight and 6-8 months before an international one. But the fact is that there are always exceptions, and the time of year you travel will make a big difference. I’m notorious among my friends for buying domestic air (non-holiday) 2-3 weeks before I travel. I’ve been burned by that sometimes, and found great deals at others. The key here is to start watching. If they hit a price you can live with, get them! And if you do happen to be flying an airline like Southwest with no change fees, keep watching them. If they go down again you can get a credit back towards another trip! 10. Use Touring Plans and Unofficial Guide – It’s possible you should have done this before you booked your cruise, but it’s not too late! 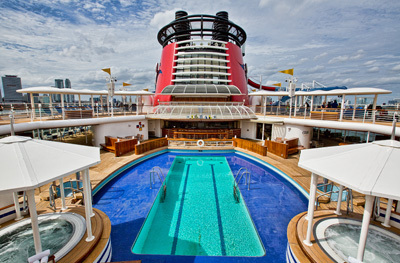 The Unofficial Guide to the Disney Cruise Line is a great resource for you. As is a subscription to Touring Plans and reading the blog at Touring Plans. You’ll find port recommendations, tips for saving money, ship details, and as much planning information as your heart desires! Use it! 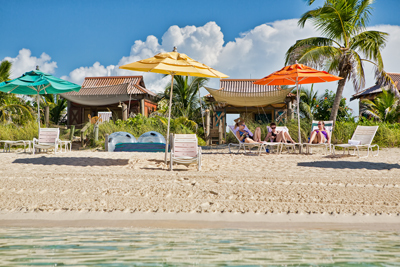 What are some of the things you do after you book a cruise? Share with us! 11. Get two more jobs to pay for it. SOOOO much more expensive that other cruiselines. 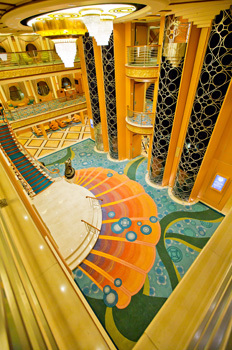 Been on three DCL cruises, but with the latest 39% price increase, no way it’s worth it for us. Expensive for sure! It’s worth it to many people, but I understand it’s cost prohibitive for many as well! Is there a trick to figuring out your dining rotation in advance? We want to book a dinner at Palo, but would like to make an informed decision. We are sailing on the Fantasy on 9/10. There’s no way to know for sure beforehand, but there is a way to plan. Call (or have your travel agent call) and request a certain rotation. Disney will give you the options for your itinerary. Choose the one that would fit your schedule best, and pick the night for Palo accordingly. If you’ve already booked Palo, call and choose a rotation where Palo doesn’t conflict with what you’re looking for. Once you check in at the terminal, check your Key to the World card and see if you got the rotation you requested. You usually do, but if you didn’t, go to the location listed in the Navigator for dining changes, and go see if you can have it changed. They’ll work with you to either change Palo or your rotation.